!!! 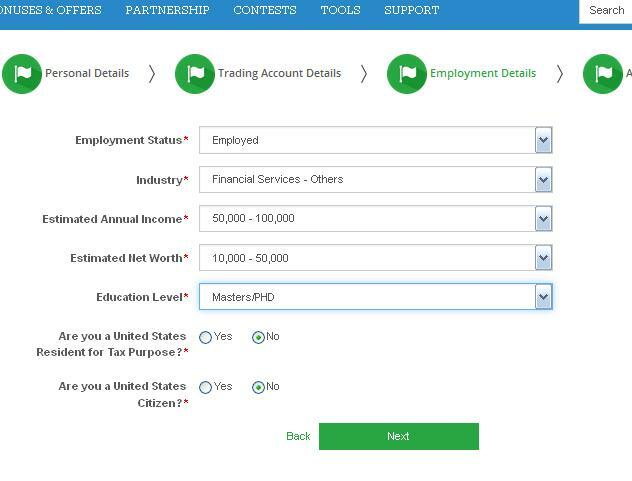 If you have not downloaded the documents for verification, it can be done through the relevant section of the broker’s website. Without verification the $300 nondeposit bonus will not be available. As you can see, I will be credited only 40 euros as a nondeposit welcome bonus. Apparently, a small income and a small experience of trading played a negative role in the calculation of the available bonus amount. 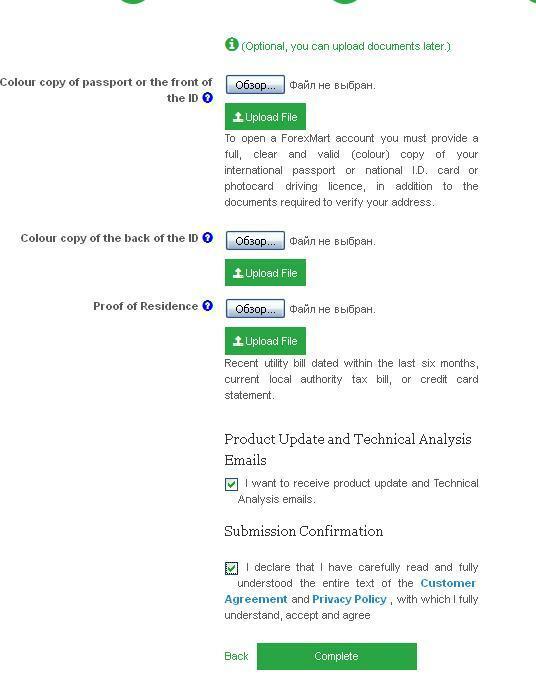 Place the tick in the check box to confirm your consent to the terms of the with the “No deposit bonus agreement” and press the green button. That’s all. 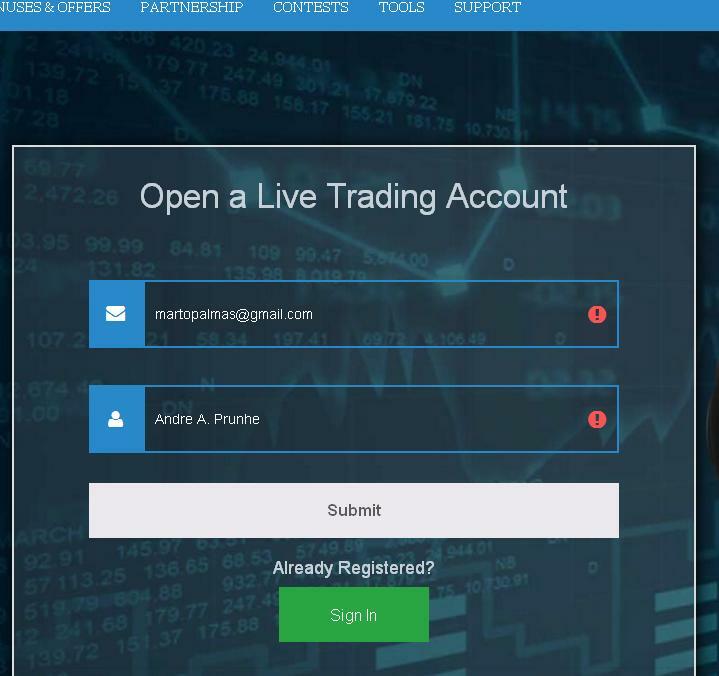 You should wait for confirmation from the broker, check the balance, download the terminal and you can start your trading. 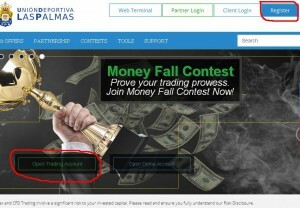 – Profit from trading on the bonus money can be withdrawn only if it exceeds 20% of the bonus amount. Profit exceeding 20% is available for withdrawal. 12. 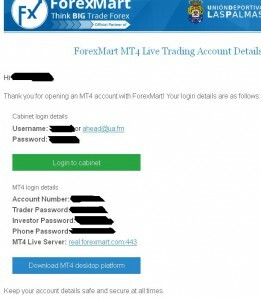 So, now you know how to get no deposit bonus from Forexmart. 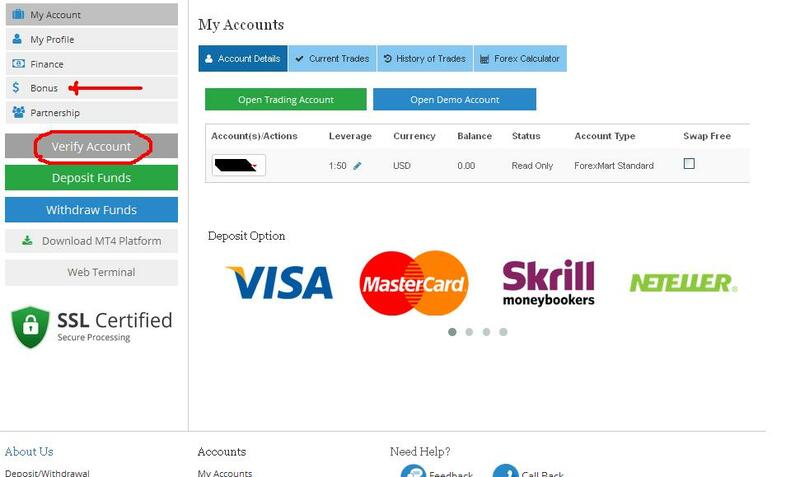 To withdraw your money from broker Forexmart or to fund deposit to your trading account you may use different payment methods: bank wire transfer, Visa or Mastercard payments, Skrill, Neteller, PayPal, Qiwi, Webmoney, Bitcoin, Yandex Money, Paxum, Megatransfer, Sofort, PayCo. 13. Some important notes for Forexmart review. 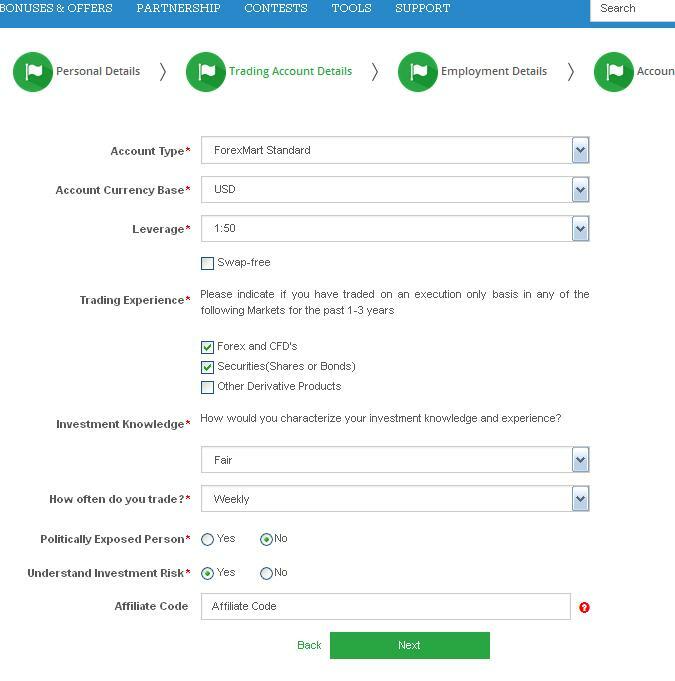 Broker offers their clients for opening such types of live accounts: Standard Account, Zero Spread Account and Micro Account. Client gets for trading about 150 different financial instruments: forex currency pairs, contract for differences (CFDs) and spot metals (Gold and Silver). 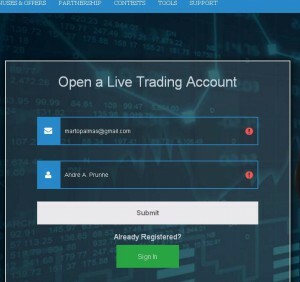 Some trading platforms are available there. You may use ForexMart mobile application (available IOS and Android). This mobile trading application gives the possibility to access charts and your account, trade and avail other broker’s services. 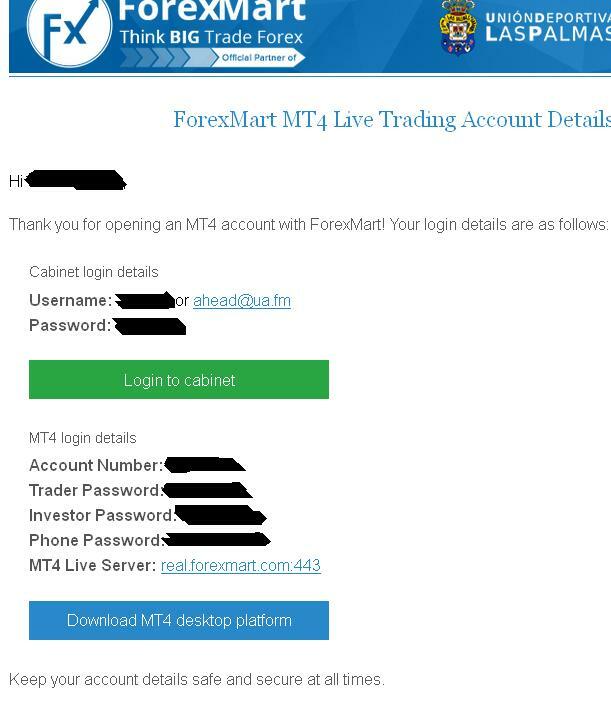 Of course, you may use usual Metatrader 4 (MT4) for trading. But, besides this, you may use Forexmart Web Terminal in your browser. Via the web terminal trader can access the trading account and trade as usual without downloading or installing any additional software. Moazzam, may be it will be more clear. The Bonus Profit resulting from the No deposit bonus can only be withdrawn once all transactions (BUY and SELL) are completed. 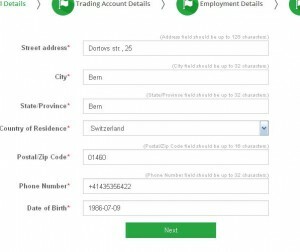 The total volume of trades must be equal to X*2,5 market lots for accounts in USD and EUR, where X is the total amount of Bonus Profit, fixed at the time of the Deposit. 0.02 X for accounts in RUR. Please educate me about this sentence. Write a comment to "Attractive Forexmart no deposit bonus"